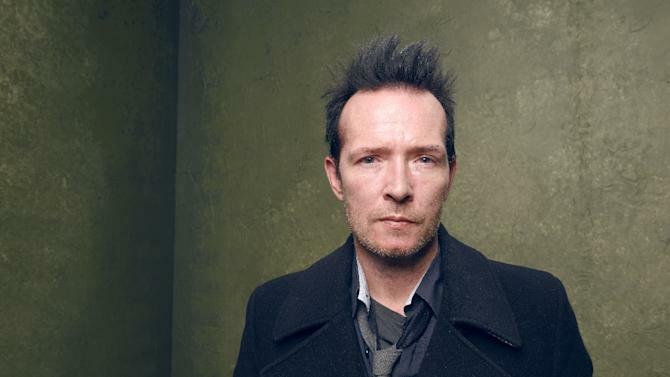 Rocker Scott Weiland dies at 48. Weiland stormed onto the grunge-metal scene in 1992 with Stone Temple Pilots and their first albums, Core and Purple following in 1994. In 2001-02, Weiland became part of the supergroup Velvet Revolver along with Guns n Roses alumni Slash, Duff McKagan, and Matt Sorum. They went on to win Best Rock Performance at the 2005 Grammy Awards. With Weiland’s very public battles with addiction, many will speculate as to the cause of his death. For myself, I think I will put on my favorite Stone Temple Pilots song, have a beer, and remember the music of Scott Weiland and how it was a huge part of the soundtrack of my youth. Rest well Scott and thanks. This entry was posted in music and tagged 1990's, Core, Dave Kushner, Duff McKagan, grunge, Guns n Roses, Matt Sorum, Purple, rock, Scott Weiland, Slash, Stone Temple Pilots, STP, The Wildabouts, Velvet Revolver by nowherecaliforniapodcast. Bookmark the permalink.